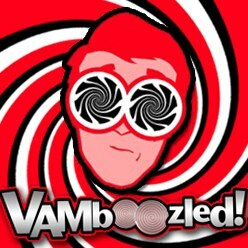 March | 2014 | VAMboozled! The model I know best, as I have been researching this one for now almost a decade, is the TVAAS (which is now more popularly known as the EVAAS) which, as mentioned numerous times on this blog, has its strong roots in Tennessee. It is in Tennessee that William L. Sanders, a then (in the 1980s/90s) Adjunct Professor of Agriculture at the University of Tennessee – Knoxville, developed the TVAAS. Contrary to what was written in an article released today in The Tennessean, however, he did not invent “value-added.” This has been a mainly econometric approach that can be found in economics literature since the 1970s. Regardless, it is worth a read of this article to understand this model’s history, the model in education from which much of the current education system’s value-added “craze” (or as they call it “vogue” trend) came, as this article was written in response to the many lawsuits coming to fruition in Tennessee (see posts forthcoming this week), largely in the model’s defense. The state of Tennessee pays $1.7 million annually to SAS to calculate their TVAAS scores, and to also put them online. This is certainly a nice chunk of taxpayer funds per year, also considering that the states of Ohio, Pennsylvania and North Carolina use the EVAAS statewide as well. “Sanders dismisses claims of volatility,” when the research evidence coming from the EVAAS system continues to warrant the counter claims; that is, that this model is about as volatile as the rest of the models that are currently available and operational. Sanders claims that the model’s “formula adjusts for one-offs,” again contrary to what continues to emerge in the research. The statistics, unfortunately, do not work like a pure statistician would (still) hope. Sanders claims the model also “overcomes measures that track achievement alone, such as students’ race or family income” which makes issues of “bias” — a topic of recent posts here — null and void. This, too, is becoming increasingly evident in the research literature, as also evidenced by some of our strongest statisticians working in these areas (e.g., Mark Reckase at Michigan State University). Sanders and others (including state leaders and even U.S. Secretary of Education, Arne Duncan) have lauded Tennessee’s use of accountability instruments, like the TVAAS, for Tennessee’s large gains on the most recent National Assessment of Educational Progress (NAEP) outcomes. Others, however, have cautioned against this celebration because 1) the results mask the expanding achievement gap in Tennessee; 2) the state’s lowest socioeconomic students continue to perform poorly on the test; 3) Tennessee didn’t make gains significantly different than many other states; and 4) other states with similar accountability instruments and policies (e.g., Colorado, Louisiana) did not make similar gains, while states without such instruments and policies (e.g., Kentucky, Iowa, Washington) did make similar gains (I should add that Kentucky’s achievement gap is also narrowing and their lowest socioeconomic students have made significant gains). Claiming that NAEP scores increased because of TVAAS-use and other stringent accountability policies is completely unwarranted (see also this article in Education Week). No surprise, I guess, that none of the other “issues” about which the EVAAS has been continuously questioned and critiqued were addressed in this article (e.g., about fairness and the teachers who are not TVAAS eligible, validity or the lack of relationships between the TVAAS and other indicators of quality in Tennessee, subject and grade level bias, as written about here and here, etc.). Researchers of a brief released from the Institute of Education Sciences (IES), the primary research arm of the United States Department of Education (USDOE), recently set out to “shed light on the extent to which disadvantaged students have access to effective teaching, based on value-added measures [VAMs]” as per three recent IES studies that have since been published in peer-reviewed journals and that include in their analyses 17 total states. Researchers found, overall, that: (1) disadvantaged students receive less-effective teaching and have less access to effective teachers on average, that’s worth about a four-week lack of achievement in reading and about a two-week lack of achievement in mathematics as per VAM-based estimates, and (2) students’ access to effective teaching varies across districts. On point (1), this is something we have known for years, contrary to what the authors of this brief write (i.e., “there has been limited research on the extent to which disadvantaged students receive less effective teaching than other students.” They simply dismiss a plethora of studies because researchers did not use VAMs to evaluate “effective teaching.” Linda Darling-Hammond’s research, in particular, has been critically important in this area for decades. It is a fact that, on average, students in high-needs schools that disproportionally serve the needs of disadvantaged students have less access to teachers who have certain teacher-quality indicators (e.g., National Board Certification and advanced degrees/expertise in content-areas, although these things are argued not to matter in this brief). In addition, there are also higher teacher turnover rates in such schools, and oftentimes such schools become “dumping grounds” for teachers who cannot be terminated due to many of the tenure laws currently at focus and under fire across the nation. This is certainly a problem, as is disadvantaged students’ access to effective teachers. So, agreed! On point (2), agreed again. Students’ access to effective teaching varies across districts. There is indeed a lot of variation in terms of teacher quality across districts, thanks largely to local (and historical) educational policies (e.g., district and school zoning, charter and magnet schools, open enrollment, vouchers and other choice policies promoting public school privatization), all of which continue to perpetuate these problems. No surprise really, here, either, as we have also known this for decades, thanks to research that has not been based solely on the use of VAMs but research by, for example, Jonathan Kozol, bell hooks, and Jean Anyon to name a few. What is most relevant here, though, and in particular for readers of this blog, is that the authors of this brief used misinformed approaches when writing this brief and advancing their findings. That is, they used VAMs to examine the extent to which disadvantaged students receive “less effective teaching” by defining “less effective teaching” using only VAM estimates as the indicators of effectiveness, and as relatively compared to other teachers across the schools and districts in which they found that such grave disparities exist. All the while, not once did they mention how these disparities very likely biased the relative estimates on which they based their main findings. Most importantly, they blindly agreed to a largely unchecked and largely false assumption that the teachers caused the relatively low growth in scores rather than the low growth being caused by the bias inherent in the VAMs being used to estimate the relative levels of “effective teaching” across teachers. This is the bias that across VAMs is still, it seems weekly, becoming more apparent and of increasing concern (see, for example, a recent post about a research study demonstrating this bias here). This is also the same issue I detailed in a recent post titled, “Chicken or the Egg?” in which I deconstructed the “Which came first, the chicken or the egg?” question in the context of VAMs. This is becoming increasingly important as those using VAM-based data are using them to make causal claims, when only correlational (or in simpler terms relational) claims can and should be made. The fundamental question in this brief should have been, rather, “What is the real case of cause and consequence” when examining “effective teaching” in these studies across these states? True teacher effectiveness, or teacher effectiveness along with the bias inherent in and across VAMs given the relativistic comparisons on which VAM estimates are based…or both?!? Interestingly enough, not once was “bias” even mentioned in either the brief or its accompanying technical appendix. It seems to these researchers, there ain’t no such thing. Hence, their claims are valid and should be interpreted as such. That being said, we cannot continue to use VAM estimates (emphasis added) to support claims about bad teachers causing low achievement among disadvantaged students when VAM researchers increasingly evidence that these models cannot control for the disadvantages that disadvantaged students bring with them to the schoolhouse door. Until these models are bias-free (which is unlikely), never can claims be made that the teachers caused the growth (or lack thereof), or in this case more or less growth than other similar teachers with different sets of students non-randomly attending different districts and schools and non-randomly assigned into different classrooms with different teachers. VAMs are biased by the very nature of the students and their disadvantages, both of which clearly contribute to the VAM estimates themselves. It is also certainly worth mentioning that the research cited throughout this brief is not representative of the grander peer-reviewed research available in this area (e.g., research derived via Michelle Rhee’s “Students First”?!?). Likewise, having great familiarity with the authors of not only the three studies cited in this brief, but also the others cited “in support,” let’s just say their aforementioned sheer lack of attention to bias and what bias meant for the validity of their findings was (unfortunately) predictable. As far as I’m concerned, the (small) differences they report in achievement might as well be real or true, but to claim that teachers caused the differences because of their effectiveness, or lack thereof, is certainly false and untrue. A Media Arts Teacher from the state of Florida wrote a piece for The Washington Post – The Answer Sheet by Valerie Strauss about her VAM score recently publicly released, even though she is a media arts teacher and does not teach the subject areas and many of the students tested and whose test scores are being used to hold her accountable. Bizarre, right? Not really, as this too is a reality facing many teachers who teach out-of-subject areas, or more specifically subject areas that “don’t count,” and who teach students sometimes a lot yet sometimes never. They are being assigned “school-level” VAM scores, and these estimates regardless of their actual contributions are being used to make consequential decisions (e.g., in this case, about her merit pay). She writes about “What it feels like to be evaluated on test scores of students I don’t have,” noting, more specifically, about what others “need to know about [her] VAM score.” For one, she writes, “As a media specialist, [her] VAM is determined by the reading scores of all the students in [her] school, whether or not [she] teach[es] them. [Her] support of the other academic areas is not reflected in this number.” Secondly, she writes, “Like most teachers, [she has] no idea what [her] score means. [She] know[s] that [her] VAM is related to school-wide reading scores but [she] do[es]n’t understand how it’s calculated or exactly what data is [sic] used. This number does not give [her] feedback about what [she] did for [her] students to support their academic achievement last year or how to improve [her] instruction going forward.” She also writes about issues with her school being evaluated differently from the state system given they are involved in a Gates Foundation grant, and she writes about her concerns about the lack of consistency in teacher-level scores over time, as based on her knowledge of the research. See the full article linked again here to read more. Otherwise, she concludes with what a very real question, also being faced by many. She writes, “[W]hy do I even care about my VAM score? Because it counts. My VAM score is a factor in determining if I am eligible for a merit pay bonus, whether I have a job in the next few years, and how many times I’ll be evaluated this year.” Of course, she cares as she and many others are being forced to care about their professional livelihoods out from under a system that is out of her control, out of thousands of teachers’ control, and in so many ways just simply out of control. See also what she has to offer in terms of what she frames as a much better evaluation system, that would really take into account her effectiveness and the numbers that are certainly much more indicative of her as a teacher. These are the numbers, if we continue to fixate on the quantification of effectiveness, that in all actuality should count. As you recall from my most recent post, this past Tuesday (March 18, 2014 – “Vergara Trial Day 28“), David C. Berliner, Regents’ Professor Emeritus at Arizona State University (ASU), testified for six hours on behalf of the defense at Vergara v. California. He spoke, primarily, about the out-of-school and in-school peer factors that impact student performance in schools and how this impacts and biases all estimates based on test scores (e.g., VAMs). Two days later, also on the side of the defense, Stanford Professor Linda Darling-Hammond also took the stand (March 20, 2014 – “Vergara Trial Day 30“). For those of you who are not familiar with Linda Darling-Hammond, or her extensive career as one of the best, brightest, and most influential scholars in the academy of education, she is the nation’s leading expert on issues related to teacher quality, teacher recruitment and retention, teacher preparation, and, related, teacher evaluation (e.g., using value-added measures). Thanks to a friend of Diane Ravitch, an insider at the trial, Darling-Hammond testified with the following as some of her highlights as they pertain directly to our collective interests on VAMboozled! here. “You can’t fire your way to Finland” (although this quote, also spoken by Darling-Hammond, did not come from this particular testimony). As you (hopefully) recall from a prior post, nine “students” from the Los Angeles School District are currently suing the state of California “arguing that their right to a good education is [being] violated by job protections that make it too difficult to fire bad [teachers].” This case is called Vergara v. California, and it is meant to challenge “the laws that handcuff schools from giving every student an equal opportunity to learn from effective teachers.” Behind these nine students stand a Silicon Valley technology magnate (David Welch), who is financing the case and an all-star cast of lawyers, and Students Matter, the organization founded by said Welch. This past Tuesday (March 18, 2014 – “Vergara Trial Day 28“), David C. Berliner, Regents’ Professor Emeritus here at Arizona State University (ASU), who also just happens to be my forever mentor and academic luminary, took the stand. He spoke, primarily, about the out-of-school factors that impact student performance in schools and how this impacts and biases all estimates based on test scores (often regardless of the controls uses – see a most recent post about this evidence of bias here). “The public and politicians and parents overrate the in-school effects on their children and underrate the power of out-of-school effects on their children.” He noted that in-school factors account for just 20 percent of the variation we see in student achievement scores. Now, Students Matter has taken an interesting (and not surprising) take on Berliner’s testimony (given their own slant/biases given their support of this case), which can also be found at Vergara Trial Day 28. But please read this with caution as the author(s) of this summary, let’s say, twisted some of the truths in Berliner’s testimony. Researchers from Indiana and Michigan State University, in a study released in the fall of 2012 but that recently came through my email again (thanks to Diane Ravitch), deserves a special post here as it relates to not only VAMs but also the extent to which all VAM models yield biased results. While these researchers suggest different statistical controls to yield less biased results (i.e., a dynamic ordinary least square [DOLS] estimator), the bottom line is that VAMs cannot “effectively isolate the ‘true’ contribution of teachers and schools to achievement growth” over time. Whether this will ever be possible given mainly the extraneous variables that are outside of the control of teachers and schools, but that continue to confound and complicate VAM-based estimates deeming them (still) unreliable and invalid, particularly for the high-stakes decision-making purposes for which VAMs are increasingly being tasked, is highly suspect. The only way we might reach truer/more valid and less biased results is to randomly assign students and teachers to classrooms, which as evidenced in a recent article one of my doctoral students and I recently had published in the highly esteemed American Educational Research Journal, is highly impractical, professionally unacceptable, and realistically impossible. Hence, “[i]f higher achieving students are grouped within certain schools and lower achieving students in others, then the teachers in the high-achieving schools, regardless of their true teaching ability, will [continue to] have higher probabilities of high-achieving classrooms. Similarly, if higher ability teachers are grouped within certain schools and lower ability teachers in others, then students in the schools with better teachers will [continue to] realize higher gains.” This exacerbates the nonrandom sorting issues immensely. The researchers write, as well, that “it is clear that every estimator has an Achilles heel (or more than one area of potential weakness).” While VAMs seem to have plenty of potential and very real weaknesses, VAM-based bias is one weakness that certainly stands out, here and elsewhere, especially in that so many pro-VAM statisticians believe and continue to perpetuate beliefs about how their complex statistics (e.g., shrinkage estimators) can (miraculously) control for everything and all things causing chaos. As evidenced in this study, the notable work of Jesse Rothstein – Associate Professor at UC Berkeley (see two of his articles here), and other studies cited in the aforementioned study (linked again here), this is not and likely never will be the case. It just isn’t! Finally, these researchers conclude that, “even in the best scenarios and under the simplistic and idealized conditions…the potential for misclassifying above average teachers as below average or for misidentifying the ‘worst’ or ‘best’ teachers remains nontrivial.” Accordingly, misclassification rates can range “from at least seven to more than 60 percent” depending on the statistical controls and estimators used and the moderately to highly non-random student sorting practices and scenarios across schools. On Friday, The Florida Times-Union released an Opinion-Editorial (Op-Ed) titled “VAM Data Helps [sic] Contribute to Student Learning.” With curiosity, I thought this might be the first Op-Ed to suggest, hopefully with at least some evidence, that VAM-based data can be used in some type of formative way(s). The author of this might know how, or better yet have research evidence to support the title of his/her Op-Ed piece? So I thought, in many ways unfortunately, as I can (still) only hope that at least something positive is coming from all this VAM-based nonsense (e.g., increased student learning). Unfortunately, however, and after reading the first paragraph, I could have predicted that this piece did not come from an educator. Rather, the Op-Ed was written by Gary Chartrand — the chairman of Florida’s State Board of Education. His claims? All hoaxes, as Diane Ravitch would put it, all of which he is advancing in this Op-Ed without any research evidence whatsoever in support, but because he “believes” in the claims he advances. Recall when people believed the world was flat? Just because people believed this, did not mean it was true though did it (see note below). Unfortunately, again, all of these claims are false, and false for so many reasons already detailed on this blog. For purposes of brevity, however, no research evidence exists, to date, to support any of the above claims, or any of the other claims as written into this piece. I have read over 700 research articles, technical reports, news stories, and other Op-Eds just like this, and never has even one of them (i.e., that is from a pro VAM perspective) ever been written by a teacher or administrator working in America’s public schools and living out the realities of these systems in practice. If one of you are out there, please do write because I would love to know that at least somebody out there, with hands on experience with these data, can actually evidence if not just suggest that using VAM-based data does improve student learning. I would honestly like to be wrong in this case. Note: Thanks to Dr. James Banks for a recent conversation about this (i.e., beliefs versus research-based truths) during his Inside the Academy interview.